Wouldn't it be neat if we could peek into the past every now and then? Think of the things you could witness--the signing of the Declaration of Independence, the landing of the Mayflower, Queen Elizabeth I's court, the coronation of Charlemagne, a Celtic ritual at Stonehenge (maybe we could really find out what they did there). Old World Wisconsin provides a place where families can truly take a peek into Wisconsin's past! 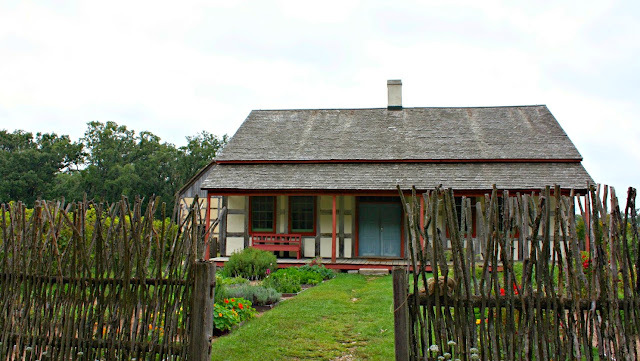 Several weeks ago, my family had the opportunity to visit Old World Wisconsin. The cultural site comprises of several working farms representing many of the nationalities that settled in Wisconsin. 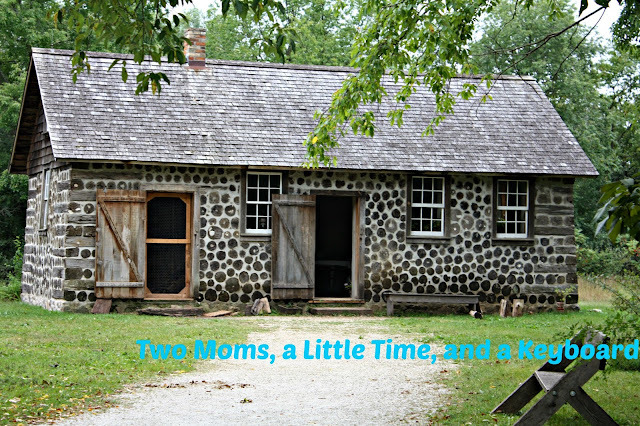 In addition to the farms, Old World Wisconsin also has a bustling village set in the 1870's. 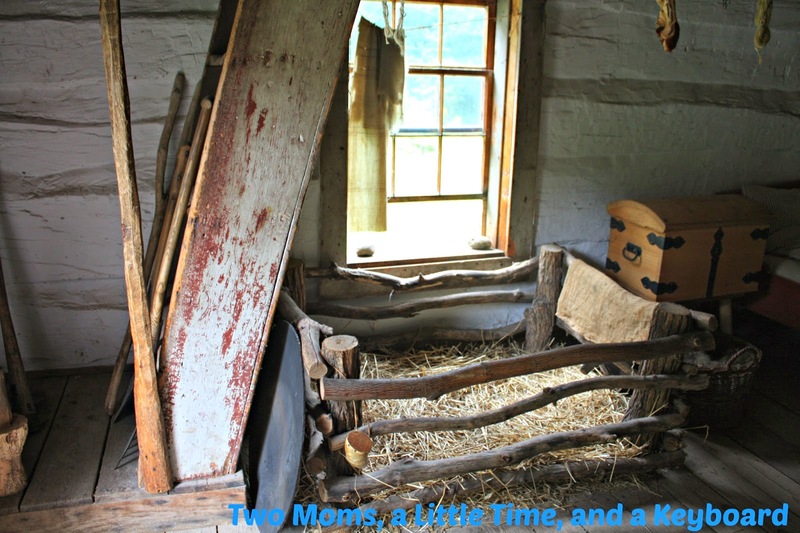 Throughout the site you will see many of the activities that were part of everyday life for settlers in the late 1800's and early 1900's. To us, this was particularly meaningful because several of my relatives settled in Wisconsin during the same time period. Walking through Old World Wisconsin is truly walking back in time. The interpreters are all engaged in period activities including spinning thread, feeding animals, baking bread, teaching school, playing hoops, grinding grain, making apple beer, quilting and much more. All of the buildings are historical buildings brought to the site from elsewhere in Wisconsin. The authenticity of the site is amazing! As you can imagine, the site is fairly expansive. We visited on a cool day and found the walk through the site pleasant. The wooded area was quite picturesque and there were many trails to follow. If you are not up to walking or would like to mix it up a little, there is a complimentary tram. 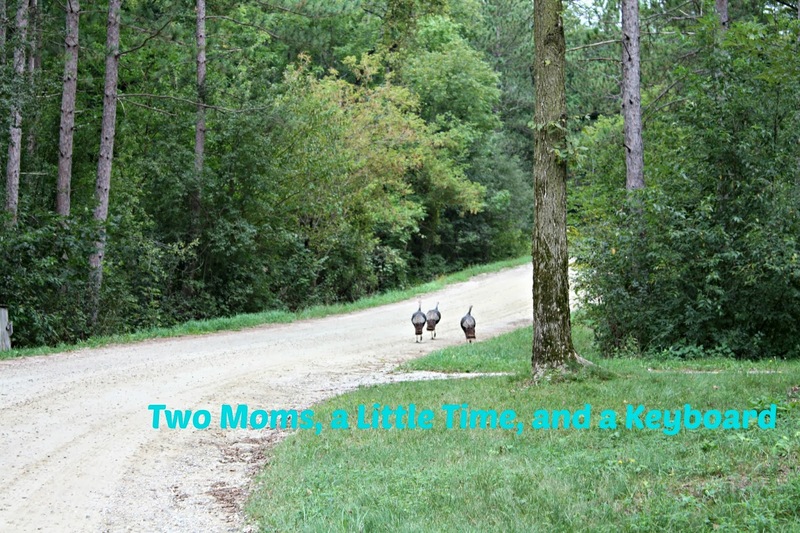 If you are on the trails, you may stumble upon a few wild turkeys like we did! 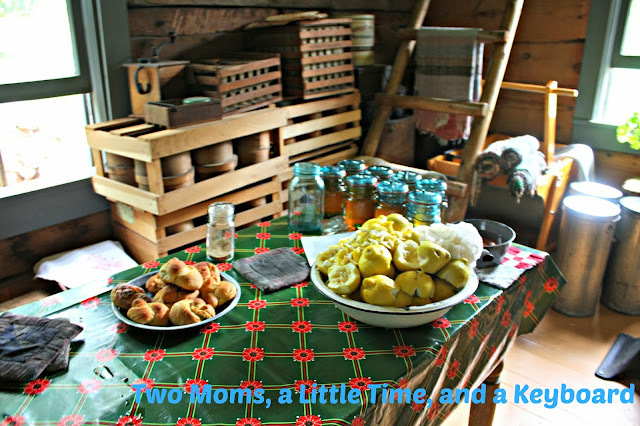 Besides taking a peek into the past, we enjoyed the ability to interact with the interpreters. Their wealth of knowledge is incredible! We learned about the families that originally lived in the farms and village homes. My daughter really loved the Fossbreke Farm in the Norwegian area. For a time, the family had to keep a pig in a pen in their home. My daughter was totally amazed to see the pen and how close it was to the bed! Since all of the farms are working, we were able to see the interpreters in action! The scenes set in each home make you feel like you are walking into a history book. The farms are living and breathing. What an experience! Of course, the hands-on elements were tops for my daughter! On one farm, she was able to grind some rye. She was determined to grind a substantial amount. We had to basically pull her away! Plus, who can resist a quick game of hoops! Grab a map at the Museum Store. Glance over the map to figure out the best way to spend your day. Also, grab a schedule for the day. 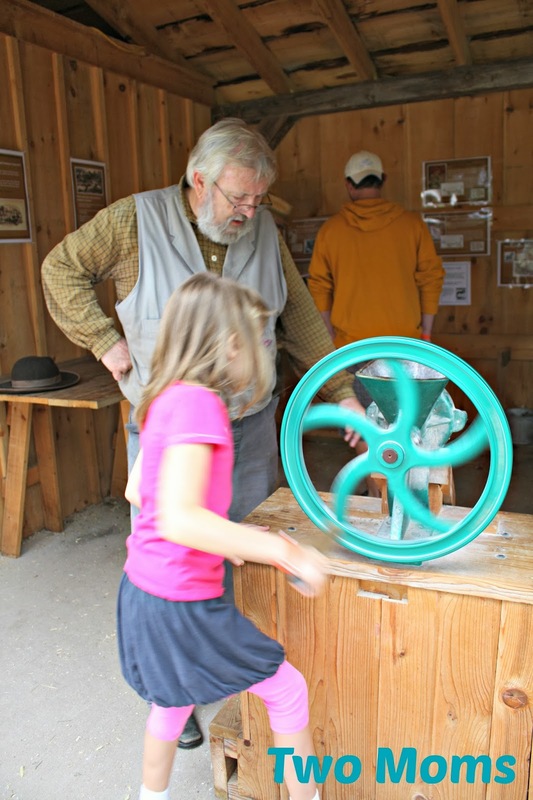 With the schedule, you can make sure to partake in special programs and engage in hands-on fun on the farm! Figure on spending about 4-5 hours for a nice visit. Bring snacks and water or event a picnic if you would like to have lunch there. You can purchase light lunch options at Clausing Barn. There are modern restrooms in the German and Norwegian sections of the site. There are also rustic restrooms throughout. They are clearly marked, which is handy! Talk to the interpreters. You will be amazed while hearing the stories of the settlers. Old World Wisconsin has many special events such as haunted walks for Halloween and ethnic holiday dinners. Head over to the website to see what Old Wisconsin is offering. Old World Wisconsin is located in Eagle, Wisconsin and is currently open 10AM-5PM Thursday through Sunday until October 13. While Old World Wisconsin will be closed for the season after October 13, the site has several special events coming up for Halloween and the holidays. Definitely, see what the site has to offer. Admission costs $16 per adult, $14 per student or senior (65+), $9 for children 5-17 and free for those under 5. Plus, there is a family rate and History Lovers Membership options to consider. 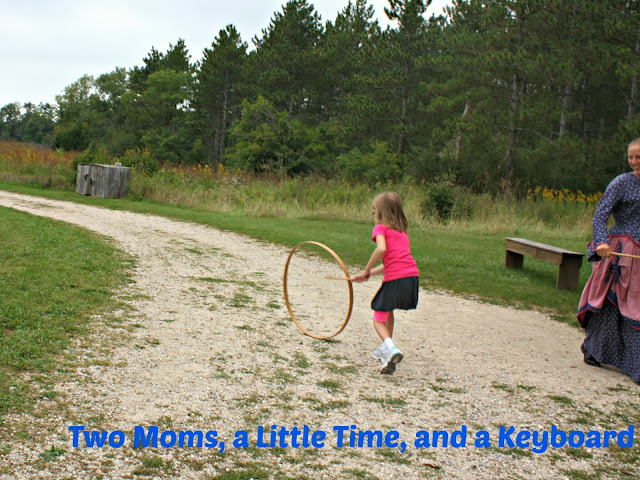 To read more about our visit to Old World Wisconsin, check out my review over on Trekaroo! **Disclosure: We received complimentary admission to Old World Wisconsin for the purpose of facilitating a review. No compensation was received. All opinions are 100% my own.